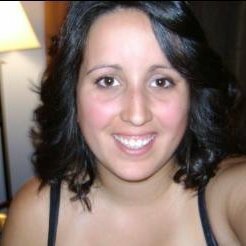 Growing up in Sydney, Joline Vassallo has called Cape Breton home her entire life. This sense of belonging and community pride is one of the many reasons she continues to dedicate her time to help improve the lives of many other people just like her across the Island. A Financial Service Officer at the Sydney Credit Union, Joline’s smiling face and bright personality are a fixture at the local institution. Joline enjoys and takes great pride in welcoming clients and ensuring no question is left unanswered. Her determination and drive to make Cape Breton a better place for people to live and settle down with their families are evident in commitment to her community through her ongoing involvement in numerous groups and clubs within the area including, the Special Olympics and the SPCA. In 2014, Joline was shocked and honoured upon finding out she had won a Vital Excellence Award at the inaugural celebration. Joline proudly displays her award on her desk at work, when asked what it represents she excitedly explains what the Vital Awards are and how important they are to the continued development of her community. The sun dances through the window of the Cape Breton Fudge Company on Mark Sparrow’s coffee mug. Grasping his mug with both hands, Sparrow shares his plans to attend a community music festival in the coming days. In fact, Sparrow can be found at many different festivals, events and gatherings in Sydney. With a self-admitted love for community led initiatives, Sparrow is doing his part to contribute to a more vibrant culture in Cape Breton. In his early thirties, Mark Sparrow is a resident of Sydney. He grew up in Glace Bay and didn’t venture too far from home, unless it was to part-take in cultured travel experiences. After attending Dalhousie University, Sparrow says that his decision to return from Halifax to Sydney for university was the perfect fit. It was in his time at Cape Breton University that he discovered a passion for business and community economic development. Thriving on the instant impact that positive change can make in a small community like Sydney, Sparrow combined his appetite for social enterprise and civic service in his role at the Nova Scotia Co-operative Council. The Nova Scotia Co-operative Council along with participating Credit Unions across the province are offering a reliable and low-risk program to benefit new and small business owners. The Small Business Loan Guarantee Program provides assistance to start-ups and helps to expand small businesses. In providing programs like the Small Loan Guarantee, Nova Scotians are better able to create and maintain rewarding careers in their communities. As a Business Development Officer with the Nova Scotia Co-operative Council, Mark Sparrow stresses the need for programs such as these to move Cape Breton’s economy forward. “Over the course of ten years, this program has given out $62 million in loans to help foster strong business ideas. The loss rate is less than four percent,” Sparrow explains. The Small Business Loan Guarantee is a success starter for entrepreneurs and business people alike. Sparrow admits that one of his favorite things about living in Cape Breton is the challenge that presents itself in finding opportunity in a small region. Through both work and play, Mark Sparrow is contributing to achieving a healthy community in Sydney. 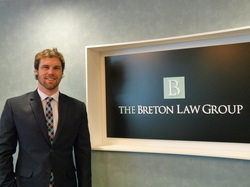 Associate lawyer with Breton Law Group, Greg Rushton is not your typical law professional. 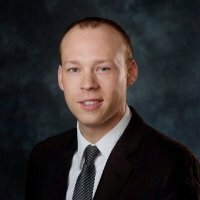 A communicative and vibrant graduate of Dalhousie School of Law, Rushton is passionate about life. Leading an active life in Cape Breton is one of the many reasons Rushton decided to make the move back to the island after finishing his education. “You can’t find anywhere else in the world like this,” he boasts. As a golfer, an avid squash player and involved community member, living in Cape Breton was a natural choice for Rushton to reach his goals. 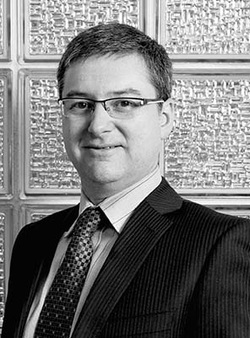 Building his networks and clientele, learning from experienced professionals and satisfying the expectations of clients have been rewarding for Rushton since beginning his law career with Breton Law Group in June 2012. A new generation of law practice, Rushton says one of his priorities is to maintain thorough communication with his clients. In a very hands-on approach, answering his own calls and promptly responding to messages and emails, is Rushton’s policy. As a new professional in Sydney, Rushton has committed to opening himself up to new networks in the community. He currently sits on the board of Access 808, a collective community initiative aimed at creating better opportunities for youth. Rushton’s long term view for Cape Breton is quite inspiring, as he aspires to build partnerships within in the community and give back through both his work and volunteering. Mentioning that Cape Breton is one of the most business-friendly municipality’s in the country, Rushton excitedly speaks of the upcoming opportunities for re-industrialization and development in Cape Breton. A weathered baseball sits upon the desk of Chief Executive Officer of the Cape Breton Regional Hospital Foundation, Brad Jacobs. Having started his career after graduate school as a Video Scouting Coordinator for the Montreal Expos his passion for teamwork and community make him a fitting leader for the hospital foundation. Born and raised in Sydney, Jacobs was lured to bigger cities to pursue education and new experiences. Moving back to Cape Breton was merely a pipe dream for Jacobs and his family; until hard work and being at the right place at the right time presented itself to Jacobs. In addition to his work with the foundation, Jacobs holds positions in several associations and boards including, the Association of Fundraising Professionals, the Association of Healthcare Philanthropy and was the recipient of the Outstanding Professional Fundraiser Award in 2011. Jacobs is a lover of sport and a dedicated father of three. The Cape Breton Regional Hospital relies on the support of the community and if one thing is for sure, Jacobs ensures, “in Cape Breton we take care of our own.” Each year, the foundation continues to grow and develop new relationships to ensure world class healthcare in Cape Breton. As Jacobs continues the hard work needed to maintain our hospital facilities, he points out, “success is never final.” With all of his achievements to date including starting his new position with the foundation, Brad Jacobs is definitely knocking it out of the park. Before Mortimer turned twenty, he had already started his own business; scouting and encouraging young talent in Cape Breton. He created Cape Breton’s Next Big Thing High School Talent Search, which has grown in both participants and attendance each season. This past spring season five wrapped up with much success and anticipation for season six next year. From the talent search, Mortimer admits he is blown away by the talent of high school aged Cape Bretoners, “Honestly, each year I am shocked by the performances,” says Mortimer. The competition has accumulated quite a following and has produced some of the hottest upcoming acts in Cape Breton. Past winners of Cape Breton’s Next Big Thing Talent Search include Breagh MacKinnon, Brittany Coombs, Lena Murphy, Charlotte MacDonald and many well-known runners up like Kyle Mischiek and Johnathan MacInnis. Local hip hop artist Kyle Mischiek has been topping the Canadian charts with hits like “Something Bout Summertime” and Cape Breton’s youth anthem, “The Island.” Mortimer says that he saw great potential and enthusiasm in Mischiek early in season four, “Kyle is young, but is very mature about going after his dream. He is on the move, playing shows and events all the time.” Mortimer laughs that he sometimes feels like more of a chauffeur than a manager, accompanying artists to gigs all over the island. In the spirit of entrepreneurship, Mortimer agrees that he would not want to be doing anything else. “It isn’t always easy to start something new, especially being a young person,” he explains. However, Mortimer points to the support from both community and sponsors that have helped the talent search reach its success. This summer has been a busy one for Andrew Mortimer and the gang at Next Big Thing Talent Co. Performing at various shows, events and festivals, you can catch Kyle Mischiek at the International Celtic Colours Festival performing with Ashley MacIsaac and at Music Week Nova Scotia as one of the showcase artists. Johnathan MacInnis, who recently hosted his own show at the Savoy Theatre, will be taking part in a tribute to Cape Breton’s first lady of song, Rita MacNeil in the “Remembering Rita” show set to take place at Rita’s Tea Room. MacInnis’ debut album is coming out in September. Through Next Big Thing Talent Co., Andrew Mortimer is not only creating his dream job, but fostering the dreams of many talented young people in Cape Breton. From greeting customers at the local Burger King to welcoming guests at the new Hampton Inn by Hilton Sydney, Hotel General Manager, Glen Morrison, has enjoyed personal and professional growth in Cape Breton’s hospitality industry. A University College of Cape Breton graduate, Morrison was excited not only by the study of hospitality and tourism, but also the breadth of such opportunities innate to an island famed for its beauty. Recognizing everything that Cape Breton has to offer, he trained his career goals on continuing to live and work on the island he has always called home. Originally from Gardiner Mines, and now residing in Glace Bay with his wife and three children, Morrison was recently named the new manager at Membertou’s prized Hampton Inn. Attached by pedway to the prestigious Membertou Trade and Convention Centre, the hotel boasts 128 guest rooms, a 1,500 square foot meeting space, artfully rustic dining quarters, full gym facilities and a pool with a super-sized waterslide. Glen Morrison and his staff strive to accommodate guest needs, large or small, and to provide outstanding hospitality - a trait that comes naturally and for which Cape Bretoners are legendary. The cone-shaped cups alongside the water cooler have served thirsty office workers well for many years. This simple, yet perfect idea came from a man named G.H. Wood. From that idea, a national business was born. Almost a century later, Wood’s business, now known as Wood Wyant, continues to deliver innovative and essential products to clients. This past September, Wood Wyant welcomed Darcy Squires as Account Manager for the Cape Breton metro area. A native of Big Bras d’Or, Squires and his Cape Breton born-and-raised wife settled their new family in Victoria Mines. Wood Wyant is a national company with a local approach. Working from home, Squires describes the flexibility and supportive culture of the company, saying, “I am able to meet with clients and still enjoy my family.” He finds great pleasure in Wood Wyant’s leadership in the eco-friendly service niche. Wood Wyant’s partnerships allow the company to provide green options for clients; for example, in developing paper for the company’s towel and tissue products, Wood Wyant uses 80% less water and up to70% recycled materials. Commitments such as these position Wood Wyant as an industry leader and bring a great source of personal and professional satisfaction to Squires. On track to fulfilling his career goals, Darcy feels that, “achieving [a] work and life balance is the key to a content life.” Working and living at home in Cape Breton plays a large role in Squires’ goals, “the future is looking brighter for young people on the Island, as well as for those looking to potentially move back.” Of Wood Wyant’s recent hires throughout Nova Scotia and New Brunswick, 100% were under the age of 40, a strategy the company implements to encourage diversity and employee retention. Wood Wyant’s products can be found in use across Cape Breton and Mulgrave and include establishments such as hotels, nursing homes, the Mayflower Mall, the Cape Breton-Victoria School Board and multiples facilities within the Cape Breton District Health Authority. For information about placing Wood Wyant’s products in your business, contact Darcy Squires at darcy.squires@woodwyant.com. For more information on Wood Wyant’s various product offerings, please visit www.woodwyant.com. *Originally published in the NextGen Connect. For Stephen Manley, technology is not only a much- loved career, but also a passion of his. As an Industrial Technology Advisor with the National Research Council of Canada and the Industrial Research Assistance Program, Manley is a self-starting, problem solver. In his position, which he calls his dream job; Manley plays a pivotal role in assisting start-up companies to further their businesses. It is not, “just writing cheques for funding,” says Manley; rather he is always seeking to optimize successful outcomes and he becomes incredibly involved with the projects taken on by the National Research Council. Growing up in North-side East Bay, Manley admired the beauty of Cape Breton and was an avid visitor at Ski Ben Eoin. Post-secondary education drew him away from the island, but with the conviction that he would someday return, Stephen freely explored the world as an engineer. A risk- taker in nature, Manley feels that his work with the National Research Council is a perfect fit. His role allows him to take part in the experimental and developmental stages of new entrepreneurial businesses. “I help others take risks with their new business ideas,” Manley explains. His position also enables him to be in the easy living atmosphere of Cape Breton. 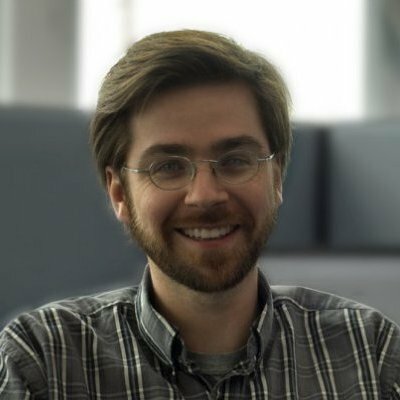 Since starting his position with the National Research Council in April, Manley has been enjoyed an array of opportunities, including providing funding for new projects, advising and consulting potential clients, as well as networking and connecting related firms and youth employment programs. For more information about starting your own business and for other opportunities, please contact the National Research Council at (902) 270 3549. Raised by local restaurateurs, Alex Morrison was immersed in the hospitality industry from an early age. Working in her family’s restaurant and interacting with customers was something that Morrison looked forward to with every shift, so when it came time to decide what type of career she wanted to pursue, the answer was really quite simple. Following her passion for the hospitality industry, Morrison enrolled in the Business Administration program at NSCC Marconi Campus. Of the decision she says, “taking Business Administration felt like the first natural step in pursuing this type of career.” After completing her courses Morrison chose Membertou Trade and Convention Centre to fulfill the program’s work placement requirement. Two and a half years later, Morrison remains with the Trade and Convention Centre in the role of Sales Associate. Her responsibilities include organizing and executing all of the weddings, galas, day-to-day business meetings and other events hosted at the Convention Centre. Experience is an asset that employers look for when hiring an event coordinator. Only 19 years old on the day she graduated from the Business Administration program, Morrison lacked the experience of established industry professionals, but she did have a solid foundation in education, an incredible drive and a desire showcase her abilities; “I had the opportunity to prove myself and my work ethic during my five week work term before the interview process for the Sales Associate position even began,” explained Morrison. She made an impression with management and was offered the role of Sales Associate at the age of 19. Morrison believes that more entry level positions with a livable rate pay need to be created for young people looking for careers in Cape Breton. She feels that on one hand, youth need to pay their dues and work their way up the ladder, but on the other, they also need to be given more credit for their capabilities and desire to learn. “We have to invest in the community for it to flourish,” noted Morrison. Membertou Trade and Convention Centre provide their employees with opportunities to get ahead. With 85% of the centre’s employees under the age of 40, there is plenty of room for growth for anyone looking to further themselves within the organization. Working at Membertou Trade and Convention Centre has been a dream come true for Morrison and she has found the recent flurry of activity in the community to be fulfilling. In only a few short months the community of Membertou has celebrated the Grand Openings of the Hampton Inn, the Membertou Heritage Centre, not to mention the regular high-paced season for weddings and conferences. Despite the work load, the environment she works in and the people she interacts with each day keep Morrison smiling. Moving forward, Morrison would like to take on more responsibility at the Centre, but presently her focus is on her education and personal milestones. Her immediate goals include obtaining a Bachelor’s Degree in Business Administration from Mount Saint Vincent University and putting the finishing touches on the new house she and her fiancé are building. To book your event at Membertou Trade and Convention Centre, call Alex Morrison at (902) 562-6826. 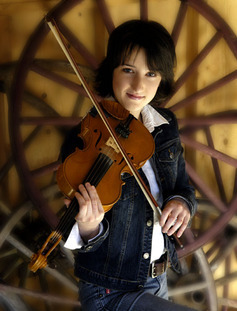 Kimberley Fraser, originally from Sydney Mines, has used her small-town roots as inspiration for becoming a world-class fiddle player and a highly-celebrated and sought-after music teacher. Motivated to play at the level of some of the Maritimes’ greatest musicians, Fraser found muses in a host of popular Cape Breton musicians such as Buddy and Natalie MacMaster, the Rankin Family and the Barra MacNeils. Surrounding herself with local talent from an early age encouraged Fraser to pursue her dreams of becoming a musician, “as a teenager I had many opportunities to get out there and play. During the summer months you could find me playing at the Marine Atlantic Ferry Terminal in North Sydney, as well as local festivals and concerts around Cape Breton,” reflects Fraser. After graduating high school, Fraser enrolled at Cape Breton University with the original intent of pursuing the safer route of becoming a teacher rather than following her dreams of becoming a professional musician. Once her post-secodary studies commenced, Fraser missed playing too much to make the full-time commitment to an education degree. Instead, she transferred her credits to St. Francis Xavier University, where she graduated from the music program and in 2007, continued her studies at Boston’s Berklee College of Music. Fraser has been exposed to new and extraordinary opportunities that she never imagined were possible. Some of these experiences include playing with some of the world's finest string players, and traveling to unique locations to share Celtic music with people and cultures all over the world. Fraser has had the opportunity to play major Celtic festivals such as the TØnder Festival in Denmark and the Celtic Connections Festival in Glasgow Scotland, both of which she considers a highlights of her career, but there is one trip in particular that stands out above the rest: “getting the opportunity to go to Afghanistan and play for the troops was simply amazing. I was so honoured to be there and it was definitely something to remember,” recalls Fraser. Fans of Fraser’s music can expect a new album within the next few years. New additions to her teaching website will be made regularly, with continued updates to tutorials and new material for students to learn from and enjoy. For more information about Kimberley Fraser and details of her upcoming events, please visit her website. To register for Kimberley’s online teaching sessions, please visit her online teaching website. Both albums are available on iTunes and wherever Celtic music is sold.